The Board of Directors seeks each year to fill any vacant positions. Among its other responsibilities, the Board is accountable for the institution's security and stability and for overseeing compliance with the statutory provisions governing its operation. Its duties include defining the federal credit union's strategic direction and overseeing its management and activities. by voting for the candidates who, upon election, will represent their interests on the Board of Directors. The role of the Board of Directors is to ensure that appropriate organizational structures, policies and control measures are in place, including with respect to strategic planning, the direction and mission of the Caisse, etc. The director's role is to oversee management of the institution's activities. Directors also play an important role at the community level in terms of public perception of the Caisse. The image portrayed to the public must be consistent with a sound institution with a focus on service to, and the well-being of, its members. All board members are expected to demonstrate the highest professionalism. The Nomination Committee is responsible for ensuring that candidates comply with the provisions of the Caisse by-laws and pertinent legislation. All candidates have gone through a rigorous screening process involving the completion of a series of questionnaires concerning their qualifications, integrity and knowledge about the Caisse in addition to an interview with the Nomination Committee. Please note that calls for candidates may also be used to fill future vacancies. Before submitting your application, we encourage you to review the application guide (in French only) providing general information to prospective applicants concerning the rules and process followed. The call for applications is over. Online The call for applications is over. E-mail The call for applications is over. In late 2018, a call for nomination was made to fill positions on the Caisse's Board of Directors. All candidates have gone through a rigorous screening process involving the completion of a series of questionnaires concerning their qualifications, integrity and knowledge about the Caisse in addition to an interview with the Nomination Committee. The Committee is also mandated to evaluate each candidate based on the sixteen (16) competency areas. Originally from Lac Baker, Réjean has two children. A graduate of the Saint John Institute of Technology, he worked in the New Brunswick public service for more than 40 years in a range of management, hiring, staff evaluation, budgeting and project management roles. He remains active in his community as chair of the board of Villa des Lacs, district deputy for the Knights of Columbus and member of his regional development commission. He has served previously on a caisse board, including as chair, and is a former member of his Regional Solid Waste Commission. Originally from St-Hilaire, New Brunswick, Guy graduated from Cité des Jeunes A.-M.-Sormany before going on to earn degrees in business administration and education from the Université de Moncton and a master's degree in school administration from the Université Laval. He was a teacher and department head at Cité des Jeunes school for 32 years and has taught accounting courses at the Université de Moncton, Edmundston campus. He served on the St Hilaire municipal council from 1983 to 1986. 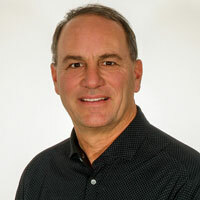 Lloyd Plourde has worked as a technical support manager for the past 12 years and been employed by Primus since 1997. With his strong skills in HR management and administration, he has served on caisse boards since 1999 and on the board of directors of UNI Financial Cooperation since 2016. A loyal cooperator, he also shares his knowledge and experience as a board member of a Regional Hockey League team. During the summer, he enjoys camping and exploring on his ATV. A business leader in heavy equipment sales, Allain has a clear understanding of the challenges and opportunities in northern New Brunswick (Restigouche, Victoria and Madawaska counties). 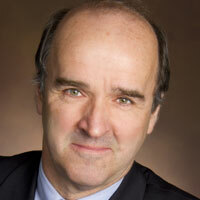 Active as an administrator in the Caisse movement since 2003, Allain was elected to the board of the Fédération des caisses populaires in 2011 and re-elected in 2014. With his extensive cooperative and financial experience, Allain has successfully put his expertise and knowledge to work for the members of UNI Financial Cooperation. Roland T. Cormier is currently employed at Villa Providence. A former chair of the board of the Fédération des caisses populaires acadiennes, he has been active in the cooperative movement since 1990. 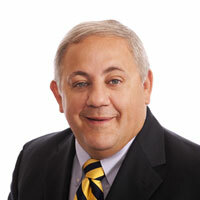 He currently sits on the board of UNI and is chair of the Human Resources Committee and the Board of Trustees. 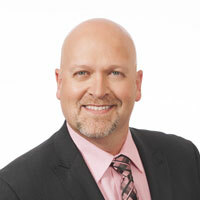 He is also vice chair of the pension board for New Brunswick nursing home employees. He has previously served on the board of NB Liquor and is a current member of the New Bunswick Financial and Consumer Services Commission. He is originally from Scoudouc. 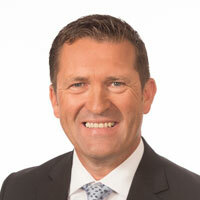 Hugh Murphy has been a lawyer since 1984, working first in Toronto and then relocating to Moncton in 1990. He earned a bachelor of business administration degree from St. Francis Xavier University and a law degree from the University of Ottawa. 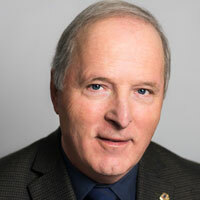 He was founding president of the Alliance française de Moncton and has served on Council of the Law Society of New Brunswick, the école Sainte-Bernadette parents' committee and other similar bodies. He and his wife have five children between the ages of 10 and 20. Following the candidate selection process, the nomination of one (1) candidate were accepted. The candidate is consequently elected by acclamation, meaning that no election will be held for this region this year. 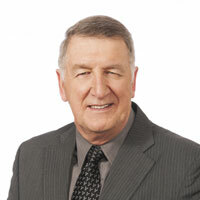 Gilles Godin worked for 34 years in multiple provincial government departments. At the time of his retirement in 2004, his responsibilities as a regional supervisor at Service NB included the client services section, the land registry and map products. He has been involved in the caisse movement for many years, including as chair of the board of the caisse populaire in Beresford, president of the Association des president(e)s and Fédération board member. He currently serves on the board of UNI Financial Cooperation. It is important to note that the election of the candidates must be confirmed at the annual general meeting on April 23, 2019. Routine checks must also be conducted to ensure that the elected persons still meet the eligibility conditions as they had declared the time of nomination. You had until April 19, 2019 at 6:00 p.m. to vote online or by phone. Instructions were sent by mail to members 16 years of age or older. The annual general meeting taking place on April 23, 2019. Notice of the meeting will be distributed by mail, for this purpose, at least 21 days before the date of the meeting along with any correspondence concerning the vote.